Courtesy of Lynne D. Brown, Compass. 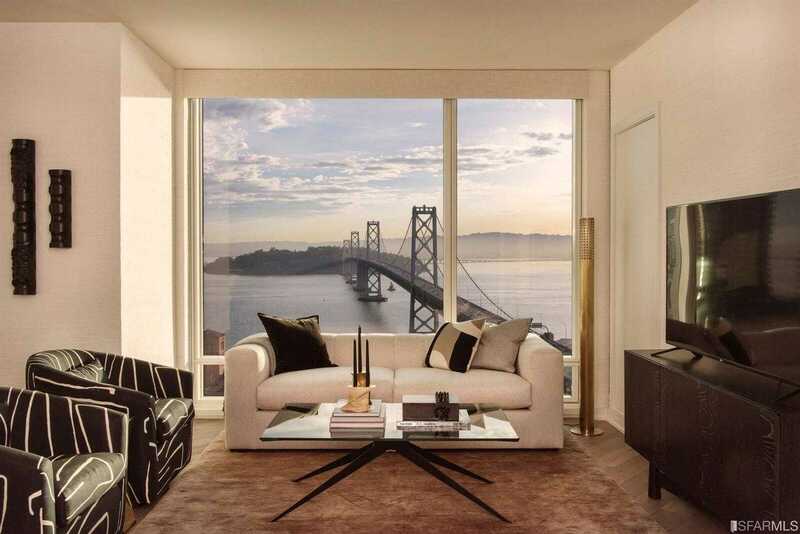 Beautifully appointed residences perched atop Rincon Hill with Bay views within steps of the best restaurants, shops, and The Embarcadero. Gracious interiors curated by acclaimed designer Ken Fulk,including the building’s elegant penthouse lounge and grand salon. Residences boast diagonal plank Siberian oak wood floors in the kitchen and living spaces, Studio Becker Ash Molina Cabinetry, polished white slab Carrara marble countertops, and Waterworks unlacquered brass fixtures throughout. Custom kitchens include Bertazzoni appliances and Sub-zero integrated refrigerators. Unique to the building is The Harrison Attach, your personal concierge 24/7. Enjoy the 2,500 sf gym, steam room, heated pool and jacuzzi.